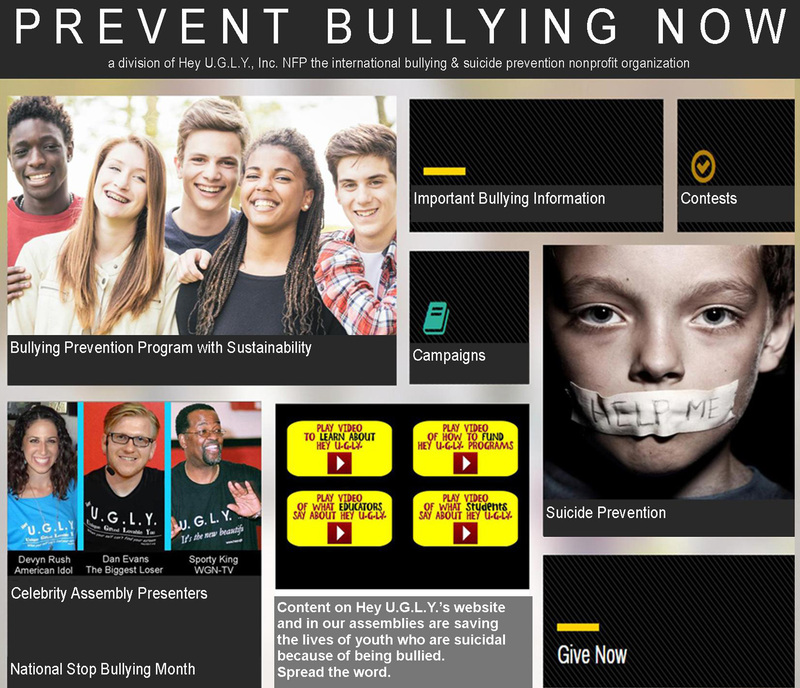 Prevent Bullying Now – Hey U.G.L.Y. counselors, parents and, most importantly, students aged 7 to 17. NEED FUNDING FOR OUR PROGRAMS? Click here! 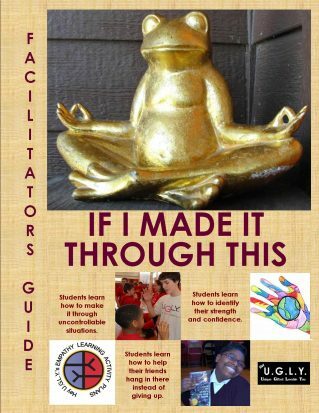 This character development, peer-to-peer guided learning experience is endorsed by educators, counselors and, most importantly, students. 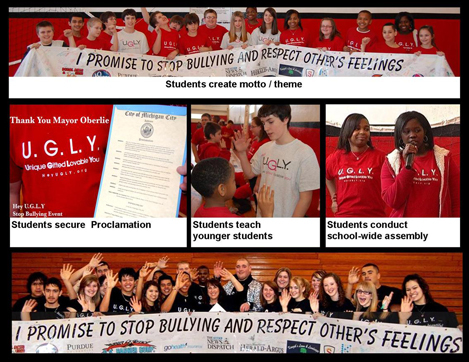 This activity sets the foundation for Hey U.G.L.Y.’s self-esteem and empathy-building program. Please execute this activity before any other ELAP. 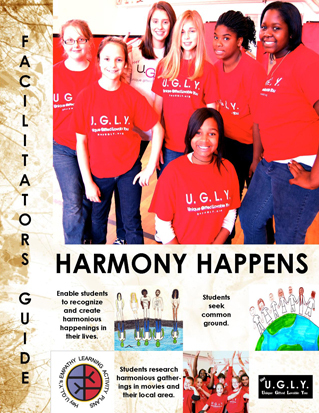 This activity is designed to help teens and pre-teens realize that they have much in common with their fellow humans of varying races. The HUE of our skin should not keep us from interconnecting and creating a world of harmony and hue-manity. 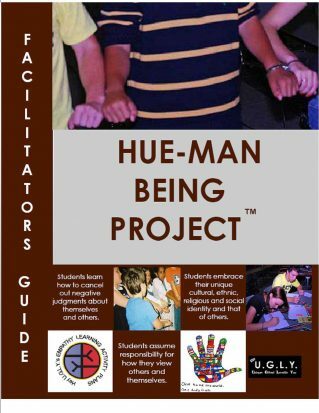 NOTE TO FACILITATORS: Go to HueManBeingProject.org to see a mini-documentary of the Hue-Man Being Art Project including the circle exercise. 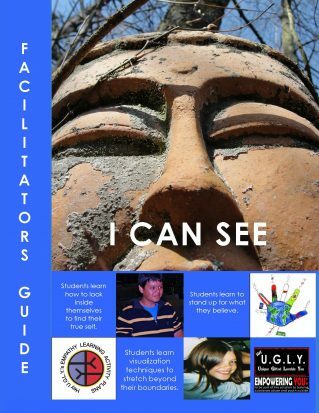 The primary objective of this session is to show teens and pre-teens how to use visualization as a tool for replacing negative self-images with positive ones. Identify their strengths and confidence. 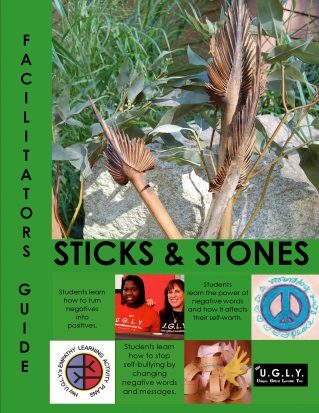 This will help them develop the strength to survive in the face of unpredictable or uncontrollable situations. 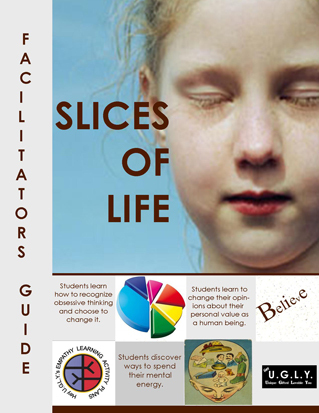 Help students get through tough times by reflecting upon difficult situations that they survived in the past. Help students distinguish between positive and negative role models and behaviors. 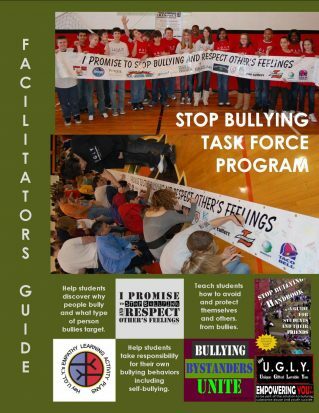 Teens and pre-teens are inundated with news about celebrities and often put them on a pedestal. This activity will help students differentiate the “hype” from reality. It will enable them to see that some behaviors are admirable, while others are not. 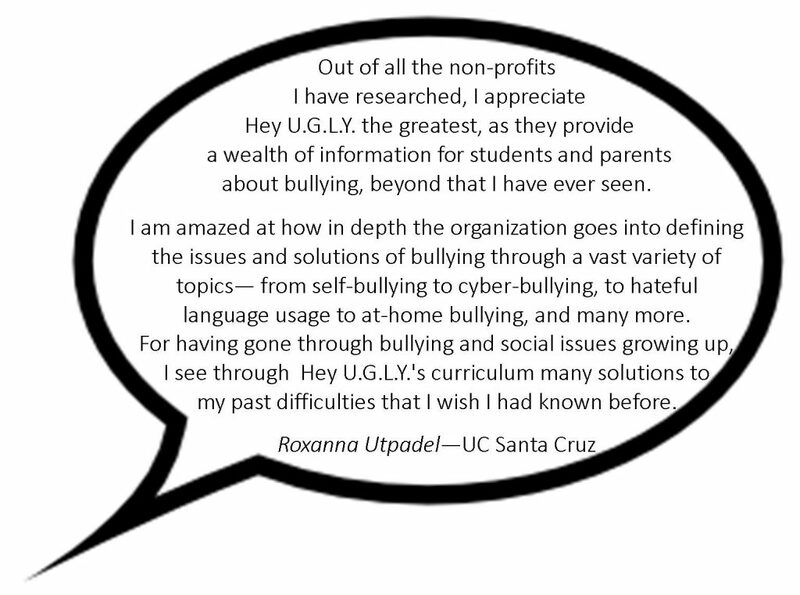 The primary objective of this session is to help teens and pre-teens understand that the way they feel about themselves is significantly impacted by their self-concept. Teens and pre-teens who spend time worrying about their inadequacies and/or how they wish they were different, tend to have lower self-esteem. 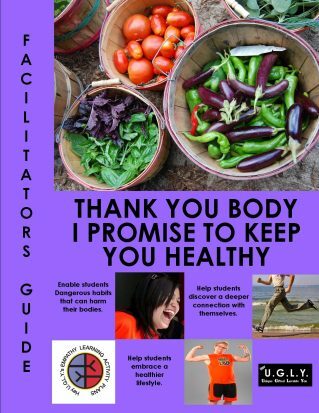 Help students get in touch with their bodies, learn to love themselves and discover how things like substance abuse, nicotine, piercing, heavy back packs, poor eating habits, lack of exercise, etc., can harm them. 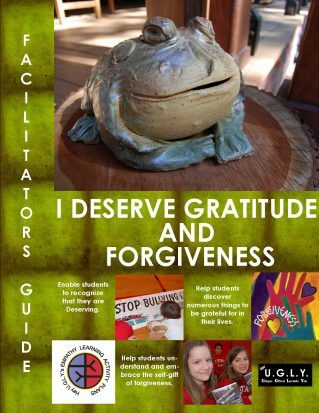 Teach students valuable lessons to help them embrace deservedness, gratitude and forgiveness. 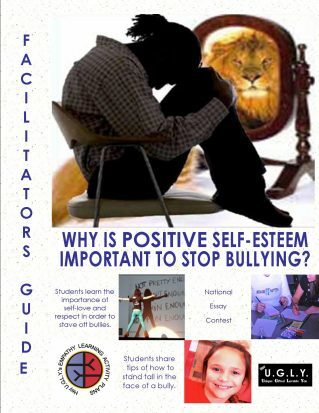 The primary goal of this session is to have teens and pre-teens communicate to themselves and others the importance of having positive self-esteem. Understand that we have the power and right to reprocess hurtful words that are hurled at us. While words DO hurt, we have tools to control the depth and length of that pain. Engage students in a demonstration of the adverse power of negative words. 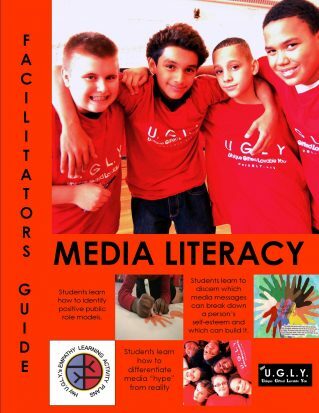 Teach them how to turn negatives into positives through the use of acronyms. 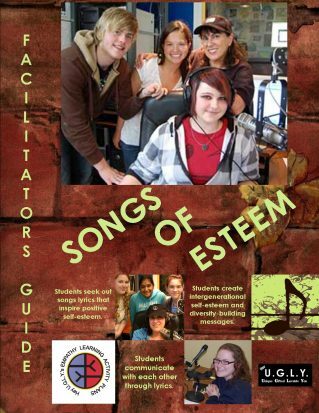 The goal of this class is to encourage students to listen to songs that inspire positive self-esteem, equality, a healthy planet, peace and/or never giving up.